Say it ain't so! The film adaptation of John Green's The Fault in Our Stars opened on June 6 and all manner of YA-loving girls fell in love with Augustus Waters all over again. 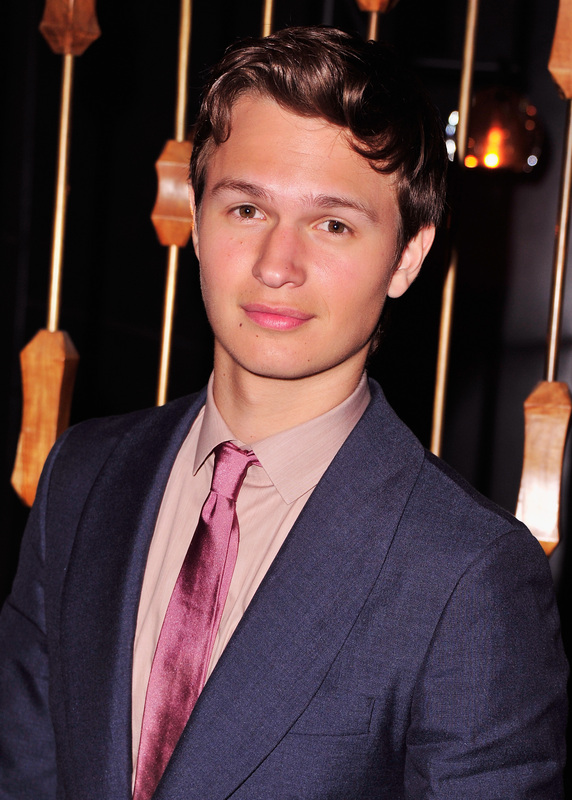 And, by extension, the ridiculously handsome, tap-dancing Ansel Elgort. So, naturally, we all wondered if the 20-year-old actor was single — because, duh, while also wondering if he and Divergent costar Shailene Woodley were dating. Their chemistry was just so real and then there were those flirty tweets. Well, I'd hate to break all of your already-breaking hearts, but Ansel Elgort does have a girlfriend and not only is it not Woodley, their relationship is so painfully adorable that you can't even be a hater. Sorry if I just ruined your day. But are they really dating? Heavy published a post in early May for which they'd scoured Elgort's Twitter account back to 2012, to find that he'd tweeted the links to Instagram photos with Komyshan. But the site revealed that they'd since been deleted from his Instagram account, citing that the links lead to an error page. Could it be to maintain his privacy? The actor did tell the NY Post back in May, "I don't know why who I'm in love with needs to be public knowledge." Back in 2012, Elgort was just breaking out in Hollywood, now he's a full-fledged star — it would make sense to delete these romantic photos to keep his private life, well, private. Even if it hasn't been confirmed, all signs point to Elgort and Komyshan dating. Especially the fact that the newly dubbed "Anselites" have resigned to it being a fact. Okay? Okay.